South Sci-Tec Tracker #1: Diffuse 8-48, Diffuse CM22 #2, Shaded PIR; Direct MS-56, Direct sNIP, Direct CUVA2, Direct CUVB2, Direct CHP1 #1, Direct TUVR. 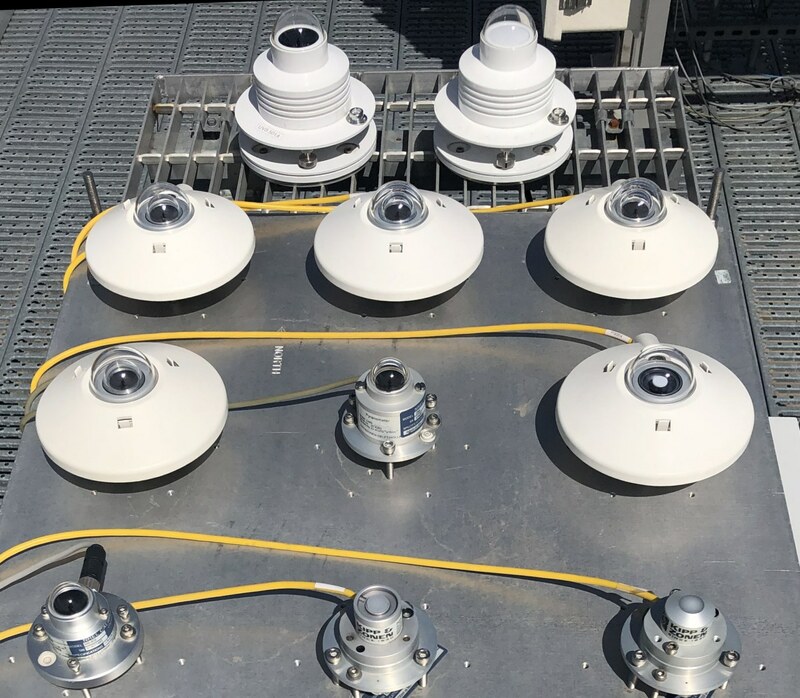 Middle Sci-Tec Tracker #2: Diffuse CM22 #1, Diffuse CMP11, Shaded CG4; Direct LI-201, Direct LI-190 (PAR), Direct CHP1 #2, Direct NIP, Photometer TWC, Direct DR02, Direct NIP RG780. The Diffuse CMP11 was replaced with an SR25 (not shown) on 12/1/2017. Prede POM-01 Sun photometer and PGS-100 Spectroradiometer mounted to the south end of instrument deck. On 9/1/2016, a SolarSIM-D2+ was mounted on the opposite side of the PGS-100. Global Horizontal West Table: 501A-UVB, 501A-UVA, CMP22 #1, CMP22 #2, CMP11, CM6b, CM3, CUV4, MS-602, PQS1, and SP-Lite2. Global Horizontal Center Table: (back row) MS-410, MS-80, SR25, MS-210W, GPP, PSP RG780, MS-802; (front row) TSP-700, UVB-1, TUVR, SPP (vent. ), PSP (vent.). Global Horizontal East Table: UV-S-A-T, UV-S-B-T, SP-510, SL-510, ML-01, CMP22 (vent. ), LI-200R, LI-200, LI-210, LI-190, and SP-110. An SPN1 (not shown) is located in the lower right corner of the table. 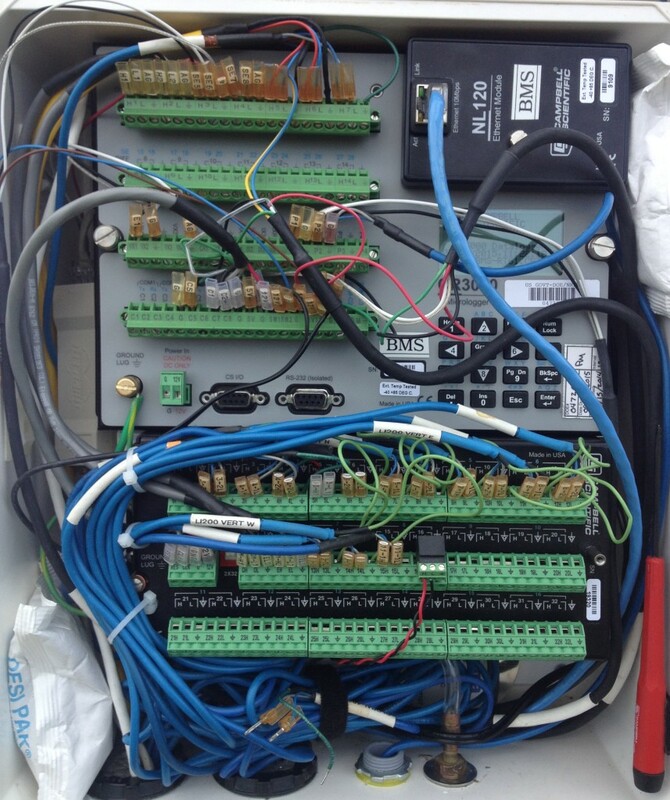 A CR3000 datalogger with (2) AM25T MUXs and (1) AM16/32B MUX collect data from all instruments on deck and the Upwelling PIR/CG3/CM21 on the radiometer tower. 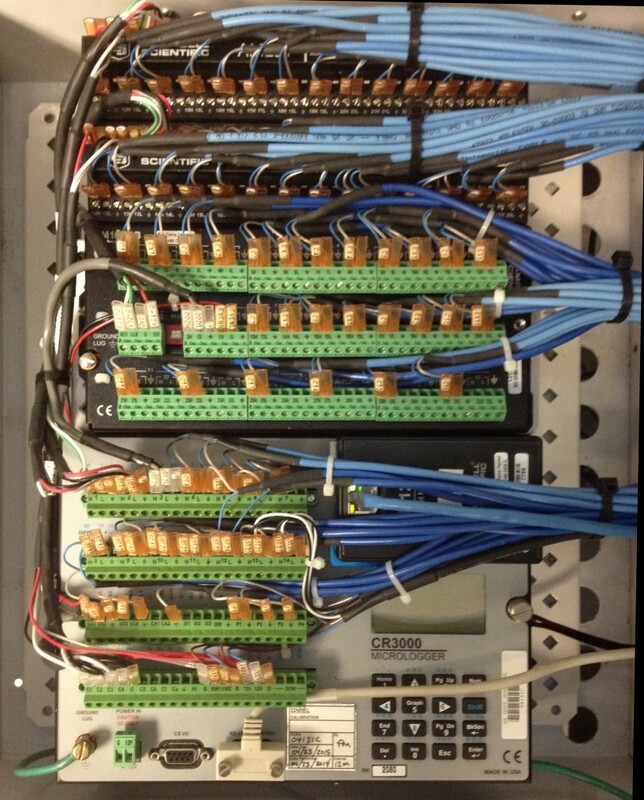 System is located in a drawer under the patch panel inside the SRRL data lab. Diffuse and Zebra Shadowband PSP instruments mounted on the north east corner of instrument deck. Note: Data collection from the Zebra was discontinued on 12/11/2014. On 6/26/2017, the Shadowband PSP was replaced with an 8-48 (not shown). 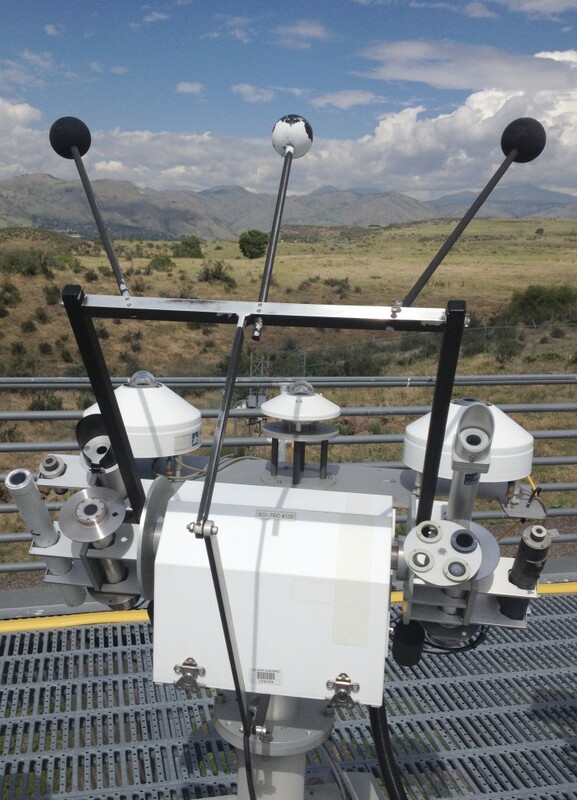 EKO MS-701, MS-710, and MS-712 (WISER) spectroradiometer system mounted on the south-west corner of SRRL instrument platform. 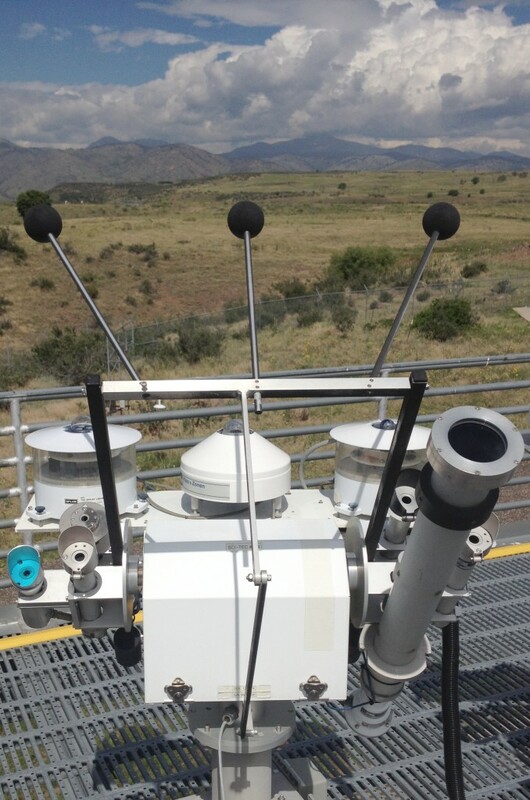 The WISER system can be mounted for global or direct normal measurements (requires DNI tubes and solar tracker, not shown). On 9/8/2017, the MS-701 and MS-710 were replaced with an MS-711 (not shown). Radiometer Tower (looking toward the east): Global Normal CMP22, Global Normal LI-200R, Global 40-South CMP11, Global 40-South LI-200, Global 40-South CUV4, (6) upwelling instruments and (8) vertical pyranometers. 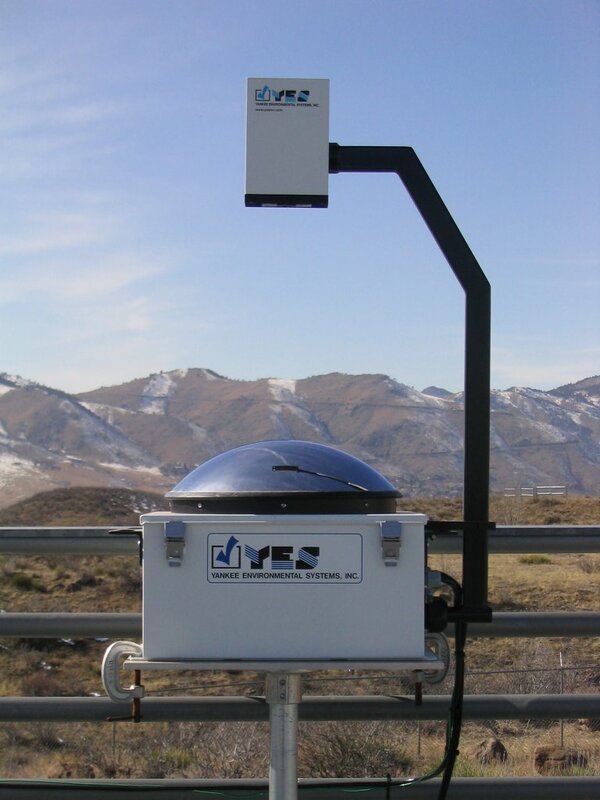 A wind speed & direction sensor measures surface winds and is used to calculate wind chill factor. 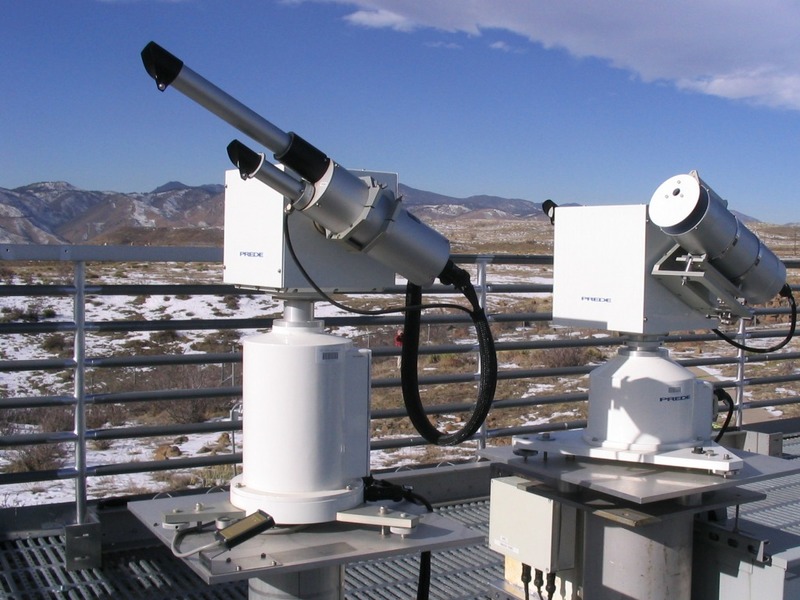 The EFM-100 at the highest point measures atmospheric electric field. 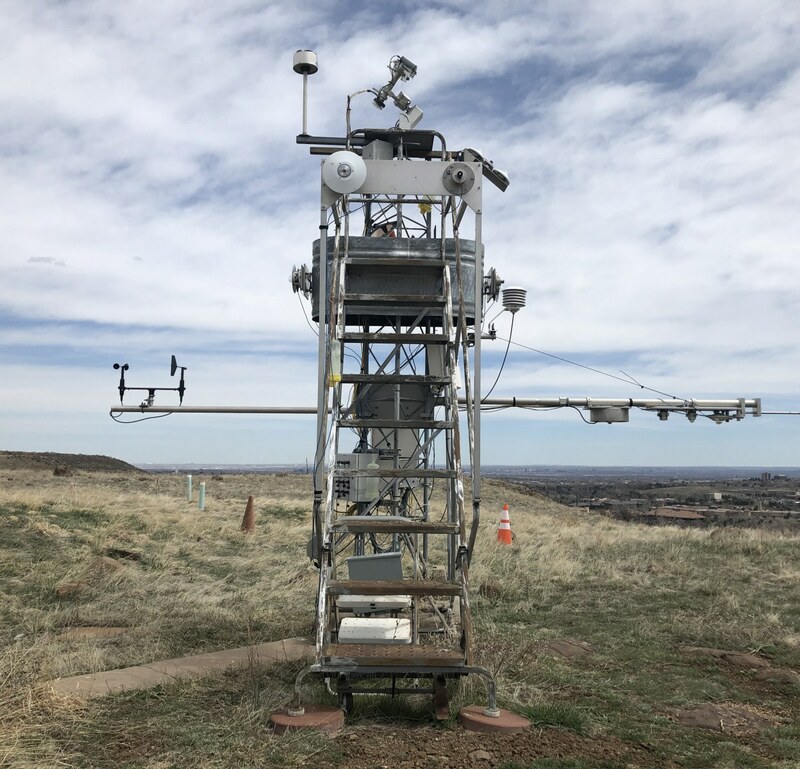 Radiometer Tower (looking toward the west): Upwelling PIR, Upwelling CG3, Upwelling CMP11, Upwelling CM3, Upwelling LI-200, and Upwelling LI-190. 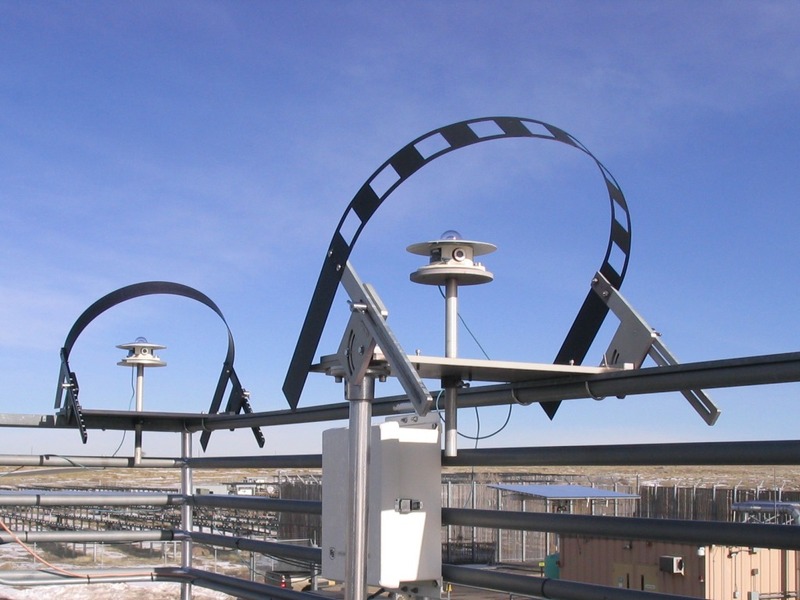 At the Global 90 North, East, South, and West positions are (4) PSP & (4) LI-200 pyranometers. 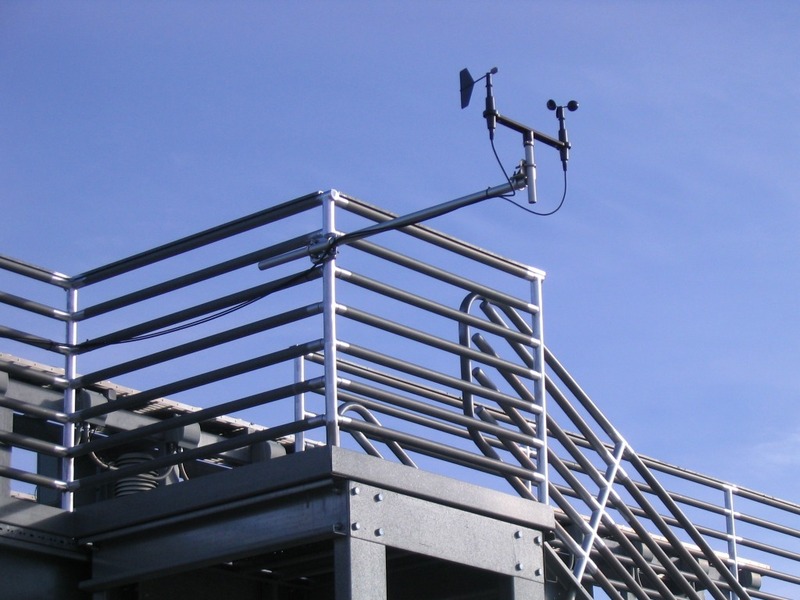 The SRRL's primary temperature and relative humidity probe is located on this tower. A CR3000 datalogger with AM16/32B MUX collect data from all instruments on radiometer tower (except Upwelling PIR/CG3/CM21). Located under the MUX standoff is a pressure sensor and EFM-100 interface. RM Young wind speed and direction sensor is mounted 8 feet away from west side of instrument deck (3 feet from the stair case). 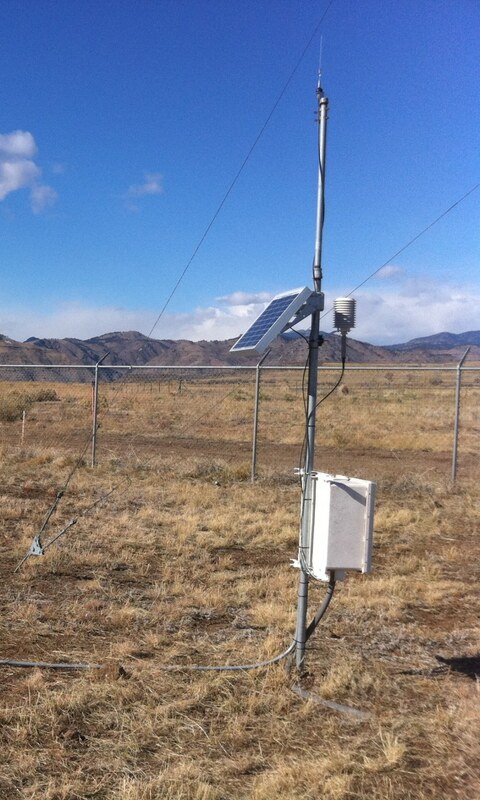 Meteorological Tower (located in Sun Edison PV field): Wind Speed & Direction @ 42 feet and Wind Speed & Direction @ 22 feet. 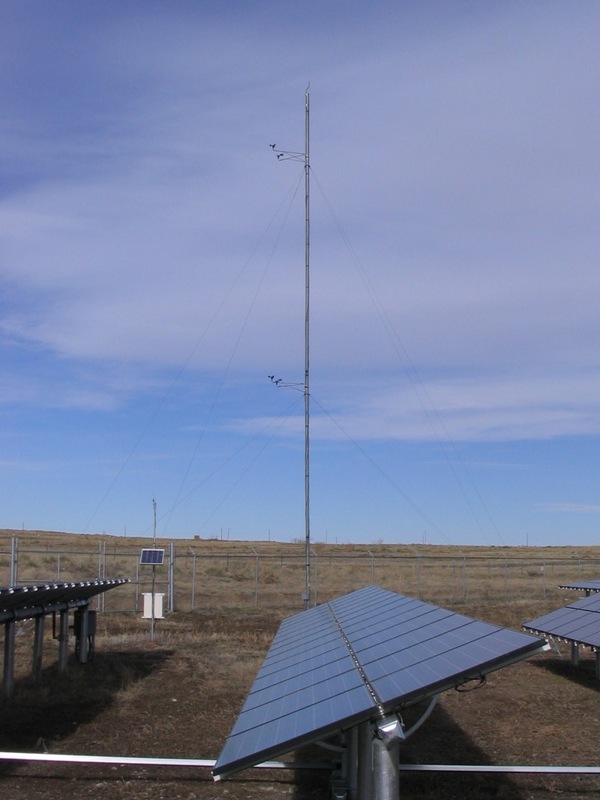 The towers data acquisition system, located in white box, is powered by the small PV panel. 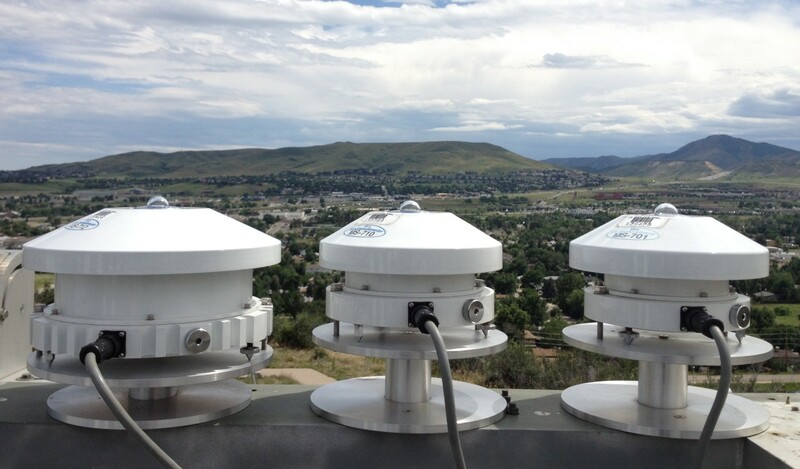 The wind sensors were destroyed by hail storm on 5/8/2017. On 11/16/2017, the 22 foot level sensors were replaced and new booms with sensors at 33 feet were added (the 42 foot level was abandoned). 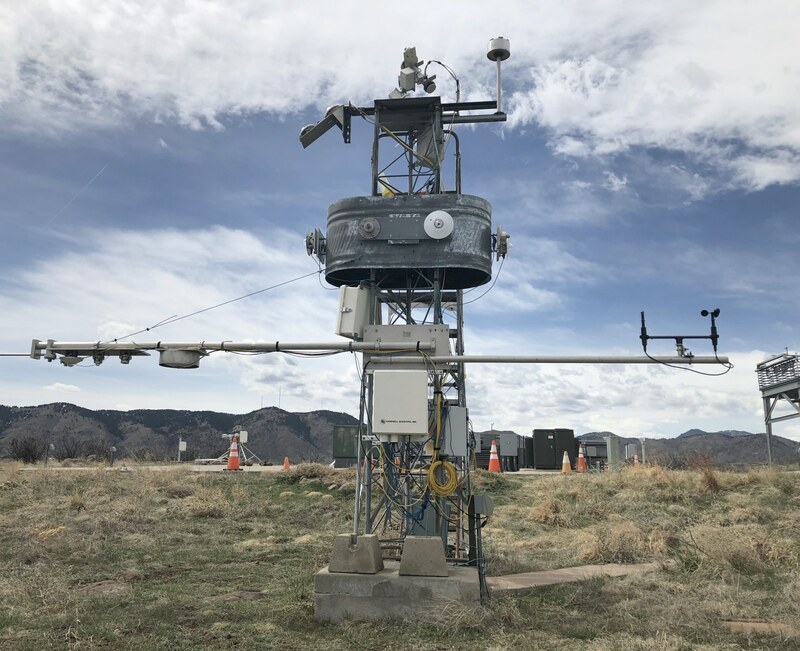 Meteorological Data Acquisition Tower (located in Sun Edison PV field): Datalogger, temperature and relative humidity probe, freewave radio, and communications antenna, which are powered by the PV panel. A Global LI-200 pyranometer measuring the plane of array (POA) irradiance on a Sun Edison PV string. 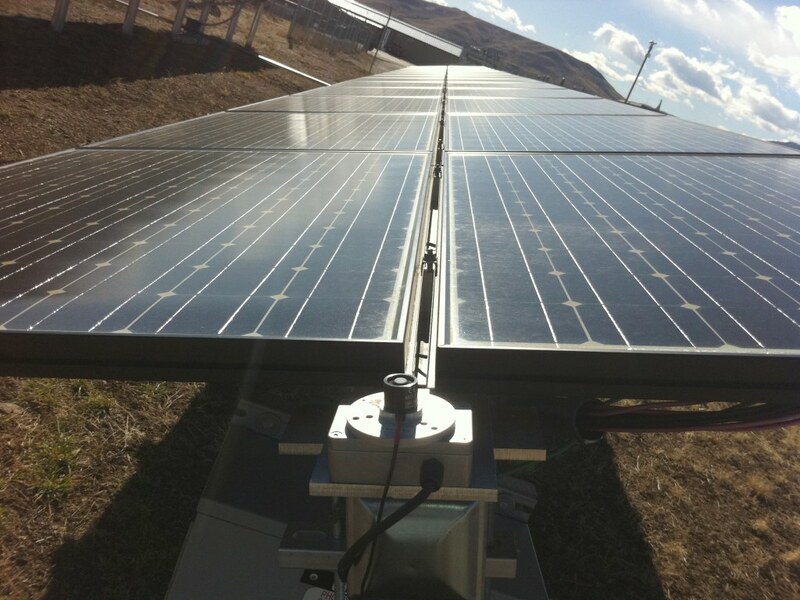 Under the LI-200 (in the small metal enclosure) is an inclinometer to measure the current angle of the Sun Edison 1-Axis tracking system. 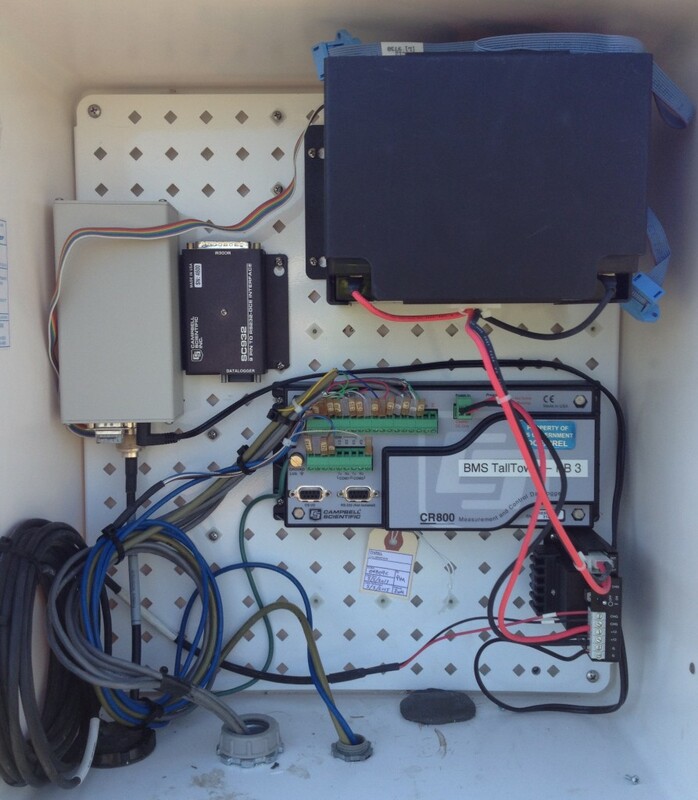 A CR800 datalogger with FreeWave radio collect data from all sensors located on the Meterological Tower. 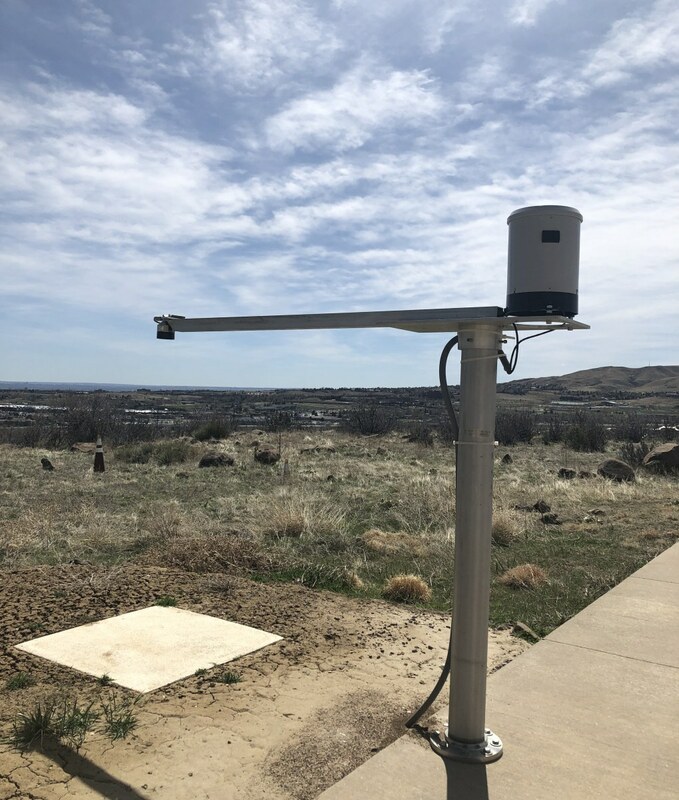 A TB4 rain gauge and SR50A snow depth sensor located 30 feet west of the radiometer tower. 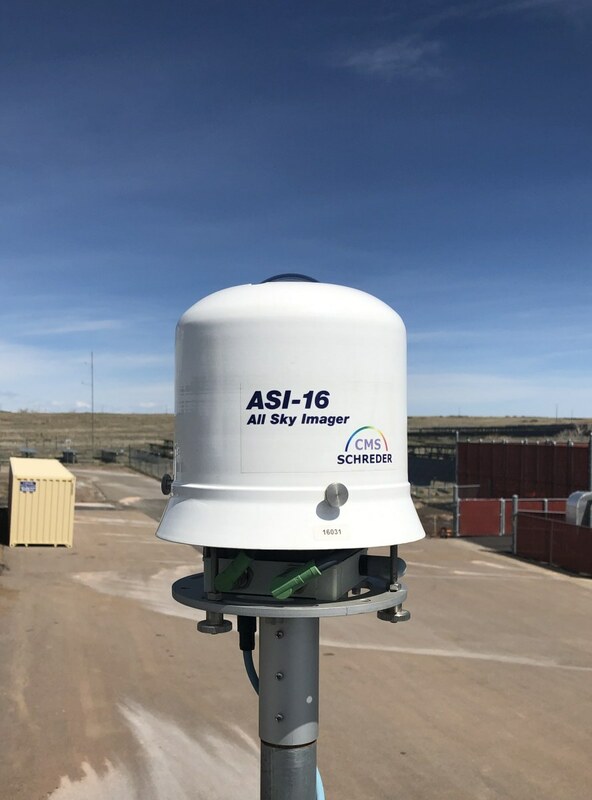 EKO/CMS-Schreder ASI-16 All Sky Imager mounted on the north end of instrument deck. 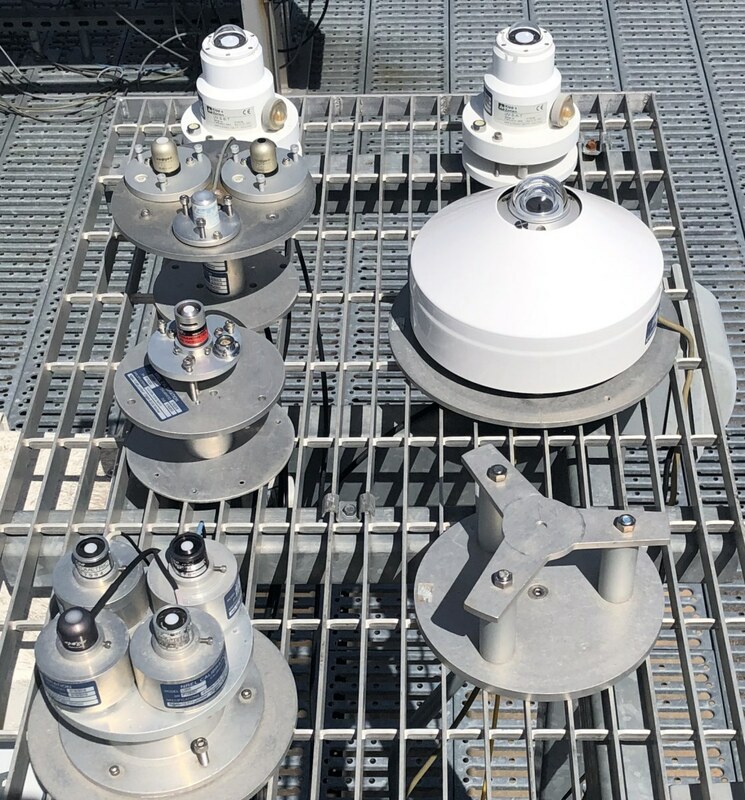 Photos of decommissioned or relocated instrumentation and trackers are also available.